The next generation in surfboard performance is here. 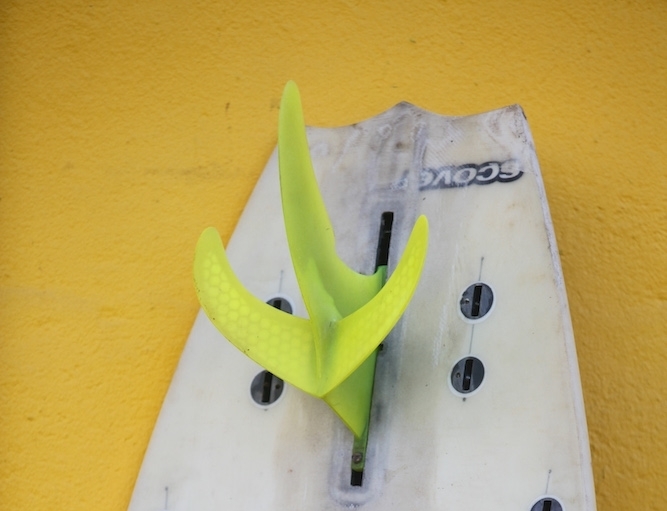 WaveWing is a revolutionary hydrofoil surfboard fin that brings unprecedented energy - speed and power - to the sport. WaveWing will make any board of any size faster and smoother. Lift from the wing reduces drag therefore increasing speed, and on a hard turn or steep wave, the wing acts as an extra fin providing more traction. 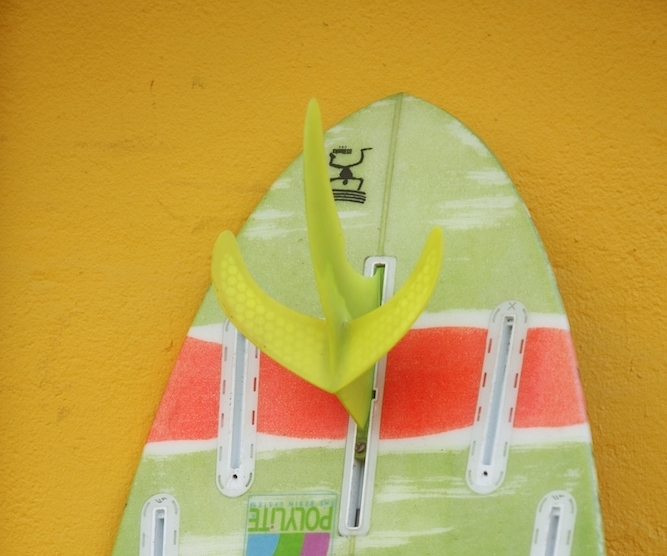 The WaveWing glides over the flats, and holds in on the steeps better than any fin on the market. 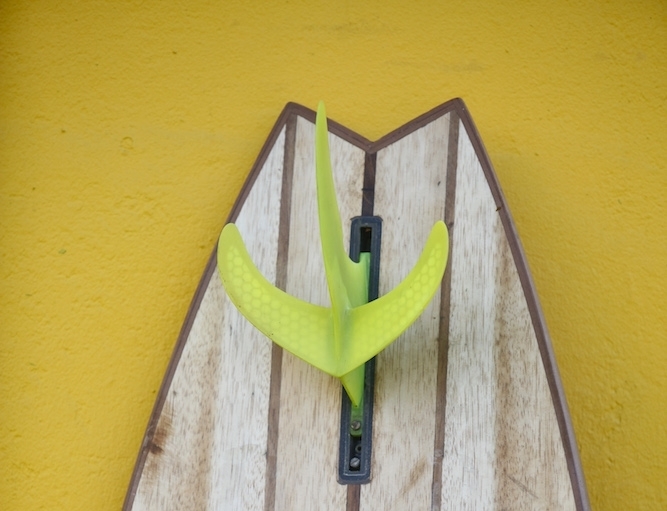 The 7 1/2" single fin WaveWing can also be used as a 2+1. It features a unique angle of attack adjustment when installed in a standard Fins Unlimited longboard box. The Thruster WaveWing is available in both FCS and Futures and comes with custom 4" side fins. Drive: Felt good. I got a lot of speed from one big pump. Turning radius/arc: I felt it had a good arc on the bottom turn. I could focus on the lip without concern for holding my bottom turn. Tight/loose: It held very well but still felt loose. I felt like I could push my turns harder.